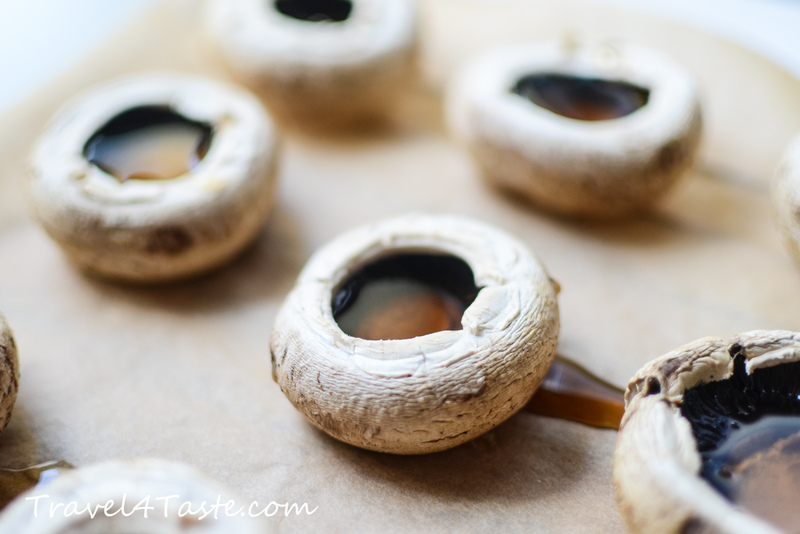 If you like mushrooms this is the recipe for you. They are the kings of this dish! 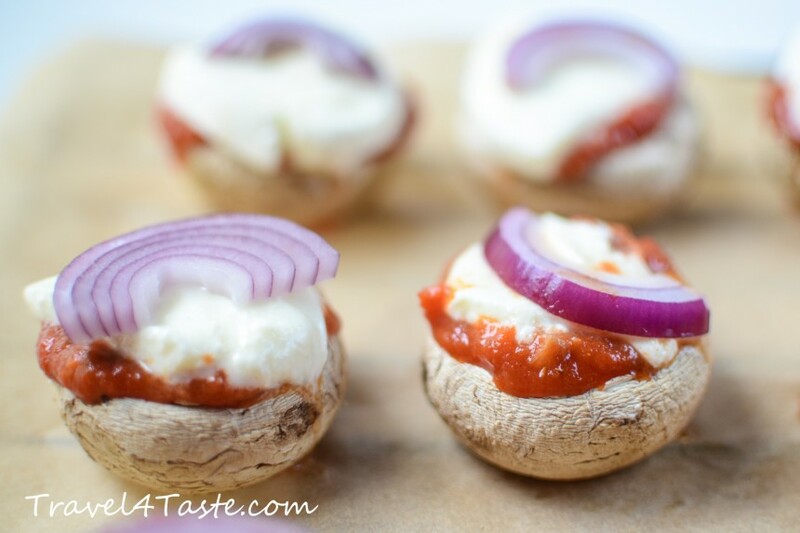 I put my usual pizza topping on mushroom heads and it turned out to be a perfect light summer snack. Afterwards I found out I wasn’t the first one to have the idea and that it is actually quite popular. Anyways, I thought it is a hyper simple recipe worth to share! You won’t need the whole sauce. You will have enough for 2 portions of your favorite pasta on the next day (delicious sprinkled with parmesan cheese). 1. 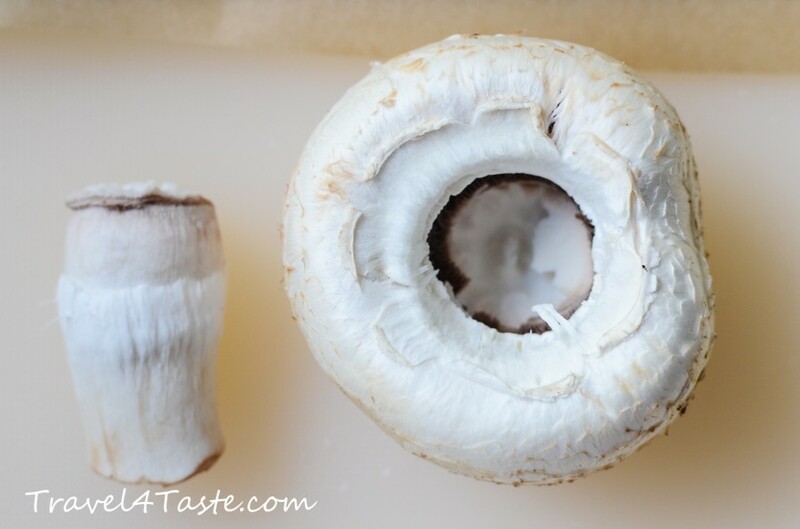 Clean the mushroom and gently remove their feet without damaging the hat (we will need it intact). 2. Chop the onion and mushroom feet. Sear them with a little bit of olive oil. It might take up to 10min for them to get softer. Stir time to time. During this time, place the mushroom hats on a baking paper sheet and place them in a preheated to 200′C oven for about 20min. 3. When the onions and mushroom are softer add tomato puree. Reduce the sauce on a medium heat. 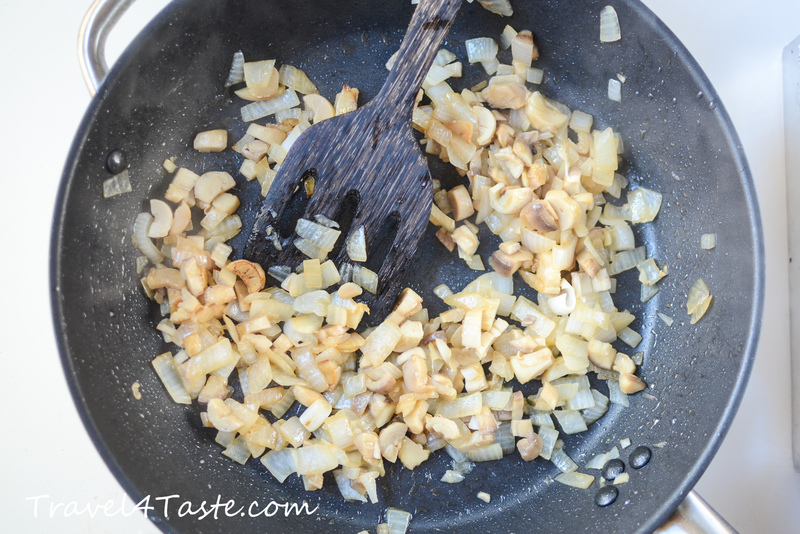 It will take around 15min (just the time for the mushrooms to be ready). In the end add oregano, salt and pepper. 4. When the mushrooms will be ready you will notice there is “water” inside them. Do NOT throw it away. It is precious mushroom “concentrate”. 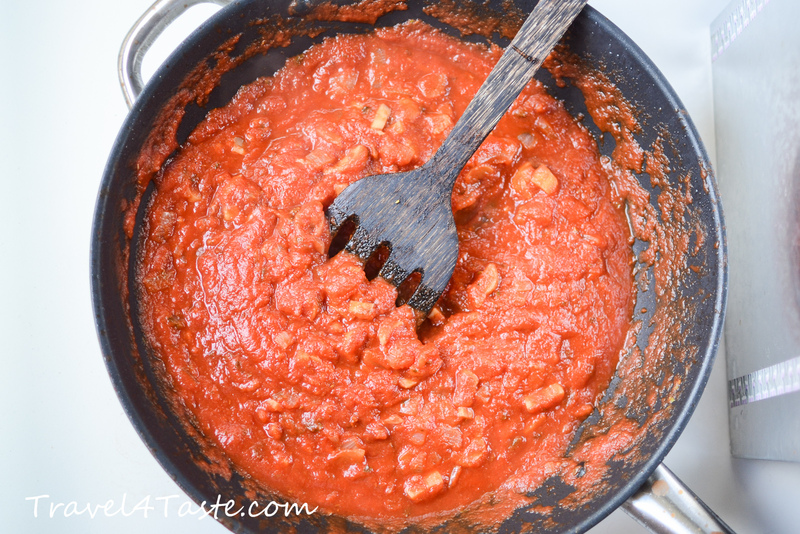 You can either add it to your tomato sauce (but then you need to reduce it for another 10min) or keep it in the fridge to use for a soup of sauce (it is precious!). 5. 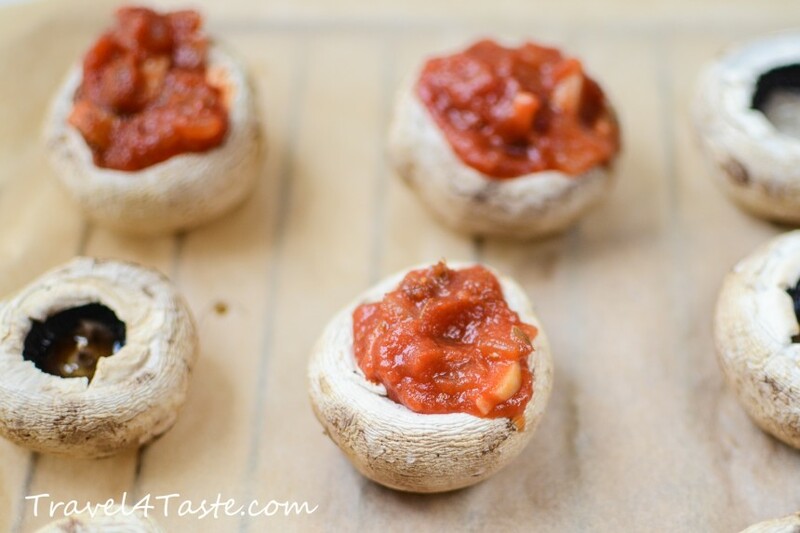 After removing the liquid from the mushrooms fill them with some tomato sauce. Top with a slice of red onion or shallot and a piece of mozzarella cheese. 6. Bake in the preheated to 200′C oven until the cheese is melted and gets a bit golden (around 15min). 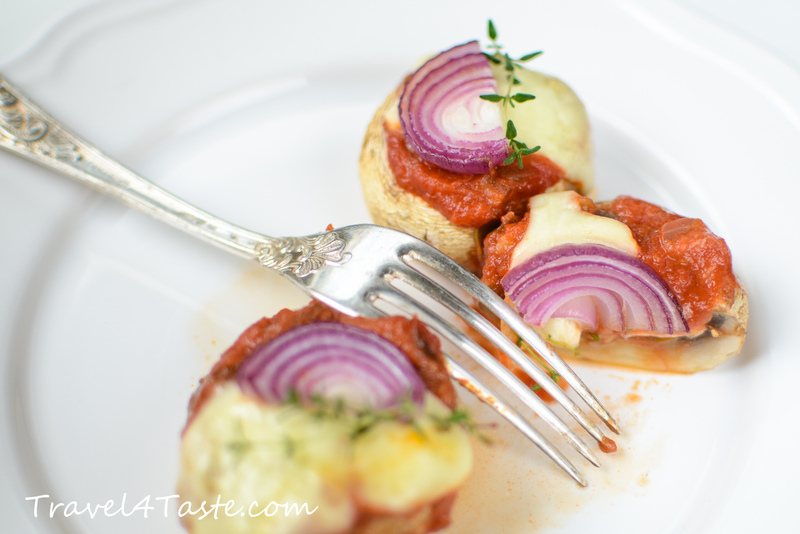 This entry was posted in Cheese, Dinner, Gluten Free, Healthy, Italian cheese, Italy, Mashrooms, Sauce, Side dish, Snack, Vegetables. Bookmark the permalink. 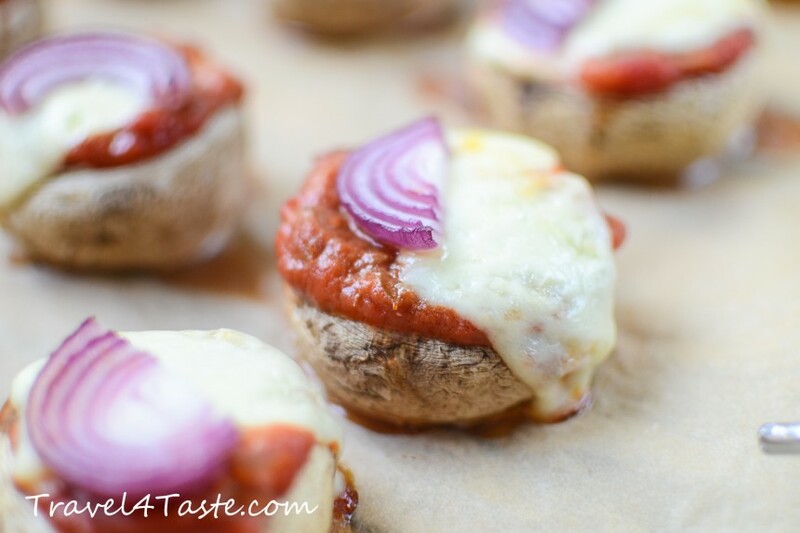 what a great idea to make mini pizza’s out of mushrooms. 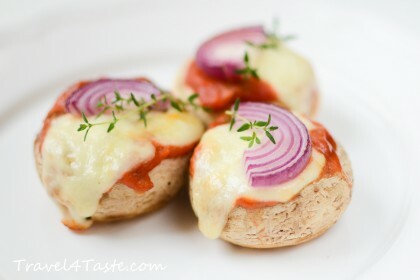 definitely need to recreate the recipe, they are so cute! This is like micro art – fantastic! Your pictures capture the process and the result so well. Can’t wait to try it out in my own kitchen.